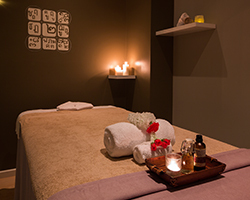 Urban Massage & Day Spa is a modern day spa, nestled under the residential complex Fusion on Flemington Road, Harrison. We have designed our Day spa around the modern area goers with clean and minimal decor in a relaxing environment to help you escape from your hectic day. Our treatments are designed to suit the modern urbanites lifestyle as well as tourists. We provide treatments that most effectively address your specific needs while pampering you and reducing your stress. Either you just want to get away for an hour or spend half a day pampering yourself, come and enjoy a simply luxurious spa experience at Urban Fusion Massage & Day Spa. At Urban Fusion Massage & Day Spa, we have selected only premium natural and organic products. All of our body and facial treatments, modified to suit your urban life style, are provided by certified professional therapists. ~Infuse Your Mind, Your Body and Your Soul~ with Urban Fusion Massage & Day Spa.